For those of you who have not heard my life story before, I just wanted to share it in a different way…in a nutshell. In light of the current events for a woman’s right to choose, I challenge that thinking with the question, “What if I had never been born?” I celebrated my 34th birthday this week and my birthday always reminds me of why I love what God has done in my life. My mom was a Christian and although single when she found out she was pregnant with me, she decided that instead of abortion or adoption she needed to keep me. She decided that in her realm of influence she had the assurance I would be growing up in church, listening to the Bible and being told about Jesus Christ and His salvation. I was born on a blizzardy Sunday in Texas. Because I was in a Christian home and in church at an early age, my heart was tender toward God. At four years old the He began speaking to me about my sin and my need to accept Him as my Saviour. On one evening as my mom cooked spaghetti on the stove for dinner I asked her what I needed to do to be saved. She took time to talk to me about it and it was then that I accepted Christ as my Savior…Almost 30 years ago! We went through some hard times in my teens as she was divorced and then lived as a busy single mom. One comfort I always had was in knowing God was with me all along the way. He never left me or forsook me. At twelve years old God spoke to me at summer camp about becoming a missionary and I surrendered to full-time service then. It was probably my junior or senior year of high school when I began to realize that saying you’re going to be a missionary when everyone else is choosing their ideas of what they wanted to be for their vocation was not the popular answer. I began to doubt my choice and stray away from the Lord in my heart and actions. Despite some bumps in the road and some special miracles the Lord did on my behalf, I became a student at Bible College in the fall of ’01. The Lord began teaching and growing me in new ways although we were faithful church attenders all the way through my childhood. I studied missions and church education for 3 years before I was distracted enough by my husband in 2004 to quit school and go get married in a whirlwind of a weekend. It was 3 years (while I was having our boys) before we completed college in 2009 together. Those years were hard years on our marriage but we always had enough hope to keep on going. 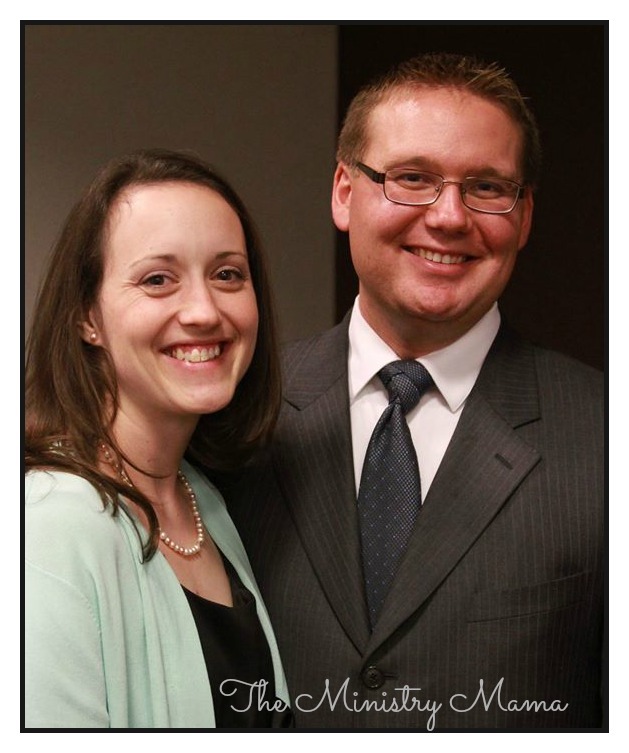 A photo of my husband and I at a church event in 2010. In the fall of 2009 the Lord led my husband to his first full-time ministry position and we served there for 5 1/2 years. Now we are serving in a new church plant while my husband works a secular job and does the same thing of leading music and teaching Sunday School as he did before. I never became a missionary to little children in a foreign country like I expected to when I surrendered at 12, but God has allowed me to minister to not only our children but to hundreds of children through the years, as well as women, and families. When I was 30 years old I met my father for the first time, you can read about it here. He and I have been able to build a good relationship together in the past few years when we had spent most of my life apart. I never expected that would have ever been true, but God has blessed us both despite having missed out on years of relationship time. You know I’m not perfect and I can truly say after 34 years, the hardships and the things that I didn’t understand when I was a little girl or a troubled teen really have been situations where God took those broken pieces and circumstances and has turned them around for good, just like He did in the Bible story of Joseph. I don’t know where this year is taking me but I hope that I can be as faithful to God as He has been to me. Trusting Christ was the best gift I ever received because it has been the gift that has kept on giving in my life. Anything and everything I am is not only because my mom chose life, but because Christ has given me eternal life. Being a Christian is as much a part of me as taking my husband’s last name has been to me for the past 12 years. 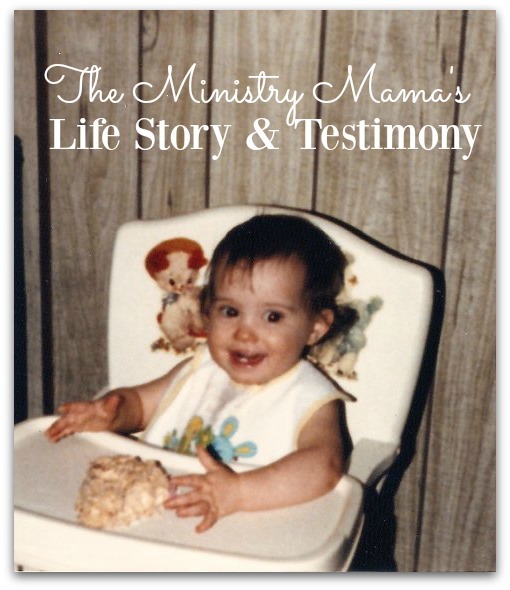 Having a relationship with Christ has made me who I am and who you know me as, The Ministry Mama, today. I hope that as you read this blog you see glimpses of Him. Thank you for taking the time to read this as it just felt necessary to share why my birthday and my life is so important to me. It causes me to ask questions like this, “Who is the world missing out on?” an”d, “Who would God have used to do His work out of the millions who have been aborted? Only God knows. I hope and pray that if a mother who is expecting a baby and is unsure of whether or not to keep that baby that you will see my life was not easy but it has been blessed. It has been God who given strength, direction, and purpose to my life just as He has for yours. Choose life, it’s the best gift you could give to your child!